One more pet look alike comparison. 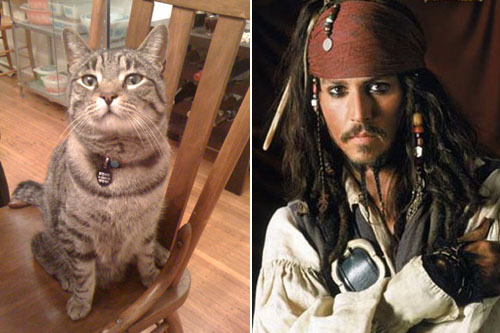 I think Stewie is the splitting image of Captain Jack Sparrow. No? They are both cute! Its the mouth in my opinion and the whisker/mustache too. WOW! They could be TWINS!